We produce beautiful interior and exterior images for estate agents, developers and other property people. Superior photographs are what draw people in and help gain interest in a property. They also help boost company brand, image and profile. We also offer a floor plan service. This wedding was shot in Turkey. We've also shot weddings in Athens, Greece. We'll go anywhere to satisfy our clients, be it in the UK or overseas! This key-handover scene was shot for a firm of estate agents for use in their corporate brochure. We also photograph properties, area shots and staff head shots for print and web use. Plus, we also provide a floor plan service. Gardener, Adam Pasco, in action during a presentation at the inaugural Waitrose Food Festival in a field in Hampshire! We provide Property and Architectural photography to the property industry including: architects, estate agents, developers, builders, interior designers, etc. We're available for indoor and outdoor social and community events, sports events, street party's and events, fetes, etc. We carry out photography work and assignments for businesses and corporate bodies for various projects including posters for print, exhibition display material, magazine and newspaper images, corporate brochures, area shots and landmarks, online material for website, social media, team and people head shots...and more! I specialise in PROPERTY PHOTOGRAPHY and WEDDING & EVENT PHOTOGRAPHY. For Property Photography, me and my team service the Estate Agent Industry, Developers, Architects, Builders, Interior Designers, Private Sellers and Landlords, Hotels, Restaurants, private individuals and other “property people”. In association with The Drone Photo Company, we also offer AERIAL PHOTOGRAPHY AND VIDEO, adding an impressive dimension to marketing properties. For Weddings & Events, as standard and at no extra cost, I work mostly with my wife, Miné, as a husband and wife “duo”, enabling us to provide greater coverage and attain shots from angles that are simply not possible with only one photographer. We are available at all the popular venues, large and small, around the southern half of the UK but most of our work is commissioned in London and the south-east. We have also been commissioned for weddings overseas and are happy to take such bookings! I also carry out specialist Commercial (Business & Corporate) work for companies which includes headshots, website and magazine/brochure content, head office and locality photography, product photography and more. Our images are licensed for web and print usage. I have full Public Liability Insurance up to £1m. Residential, Commercial, Industrial – interior, exterior, area /locality shots and aerial DRONE photography/video. We work for estate agents, developers, architects, care homes, hotels, interior designers, private sellers, etc. Weddings, Bar/Batmitzvahs, Christenings, Birthdays, Anniversaries – we’ve got you covered, photographically speaking. We employ a documentary/reportage style capturing the story and atmosphere of the day or event. Good images help sell your products or services. Its a great way to make you stand out and differentiate from competitors. We can provide location shots, your offices, your products, staff, etc. Use for your website or corporate brochure. Landscape photographs can be a thing of beauty if shot correctly in the right light. We have ultra high resolution, close to medium format, cameras enabling us to capture the sharpest of detail for large prints and other purposes. We have a mobile studio to visit you or a location and can provide individual or family portraits, business head shots, children and babies, fashion, hairdressing, graduation day, schools and numerous other scenarios. We offer a service to edit or post-process your own photos – digital or hard prints (which we scan). We painstakingly restore or enhance your images using a variety of software including Photoshop and Lightroom. We’ve been commissioned for wedding events as far afield as Athens, Greece and Antalya, Turkey but the majority of our work is within the southern half of the UK and predominantly in London and the south-east of England including Hertfordshire, Middlesex, Essex, Buckinghamshire, Bedfordshire, Cambridgeshire, Oxfordshire, Berkshire, Surrey, Hampshire, Suffolk and Sussex. However, we’ll travel pretty much anywhere if we’re asked to! The majority of our Wedding and Event photography is undertaken at wedding or event venues either inside or in an outdoor marquee. We also cater for home parties and events, again, either inside or in an outdoor marquee. No venue is too big or too small for us. For some of our photography assignments such as business and corporate shoots, fashion or portrait shots and sports or street events, the location won’t come to us so we go to wherever the location for the shoot or event is. Camera bags packed, we are always ready to travel! Sometimes, especially for portrait or fashion shoots, your home or your workplace just isn’t right setting for the type of photography required. Luckily, we have the equivalent of a mobile studio which means we can bring a studio environment to you with backdrop and lighting. We believe in offering great value for money. We’re not going to be the cheapest but nor are we the most expensive. We have some set prices but we are also flexible and will try to tailor a package and service to meet your requirements. Give us a call on 07486 870706 or contact us via the Contact Form for a quote! Steve has been taking photographs since getting his first camera when he was just 8 years old. He got his first SLR film camera in 1986 and has a wealth of photography experience. He likes all types of photography and is always looking to challenge himself with different ideas. 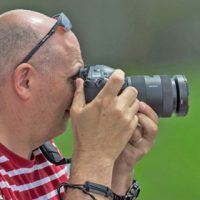 Steve shoots mainly in RAW format with Sony Alpha full-frame cameras and he is skilled at editing and post-processing with Photoshop and Lightroom software. Miné has been photographing seriously for more than ten years and has a natural ability to see and frame interesting shots. 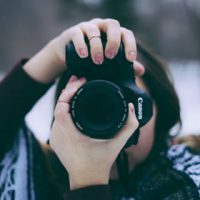 She took to photography quickly, initially as a hobby and then after only a couple of years was good enough that people were happy to pay her for her work. She has a really good eye and is very creative in arranging scenes and portraits. Mine mostly uses Sony Alpha cameras shooting both in APS-C and full-frame formats. 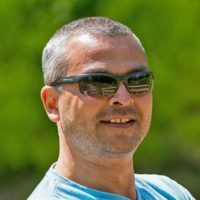 Hasan has over 25 years’ experience with SLR/DSLR cameras and he is also handy with a video camera having videographed numerous weddings and parties over the years but his passion lies in still photography. He likes a variety of different types of photography but his experttise is in capturing strong images of people. Hasan uses Nikon and Canon cameras for stills photography and Sony video cameras for videography. 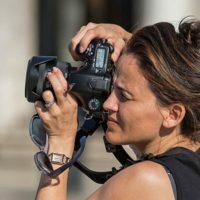 Lorraine is a very creative photographer and has won numerous awards and competitions since she took photography up seriously over twenty years ago. She is great at capturing images of people both at events or in the studio and she has a creative flair that make many of her photographs stand out. Lorraine has used Nikon and Canon cameras and she also uses medium-format cameras too for specialised photography. I managed to download the high resolution images yesterday, amazing photos! They have come out brilliantly. Thanks for the day Steve, and your wife, Mine, too. I think everyone had fun and you captured some great memories. Steve, thank you so much for the wonderful photos of my Mum's "surprise" 60th Birthday Party! You captured perfectly, that special moment of surprise when my Mum entered the hall. Wonderful! Just back from holiday and have received the memory stick (of Hannah's Batmitzvah party). Thank you. Fabulous photos, great memories !!! This gave us exactly what we wanted. Fast turnaround time and we were inundated with responses thanks to the great photos. It helped us find a tenant very quickly and our client was extremely happy. Thanks Steve! Very many thanks for these pictures .... and some good memories of a lovely three days at the Waitrose Summer Festival. Steve, the photographs (for the Official Town Guide & Map as well as the Official Website) are great! Our client, a property developer, insisted that the photographs for marketing a development of five apartments must be "highly professional". Steve produced a set of images, all of which were post-processed to ensure the very highest quality. 4/5 apartments reserved on Open Weekend! Thanks Steve for the beautiful candid photos that you took for our daughters 1st Birthday party! We’d also like you for next years Event! Steve, thanks so much for the wonderful photos you took at our charity street party event last Saturday. The photos are so colourful and lively and really captured the heart and soul of the day. We are displaying them right now on our screen in the Centre and everybody is commenting on how great the photos are. We'd like to book you for next years event!